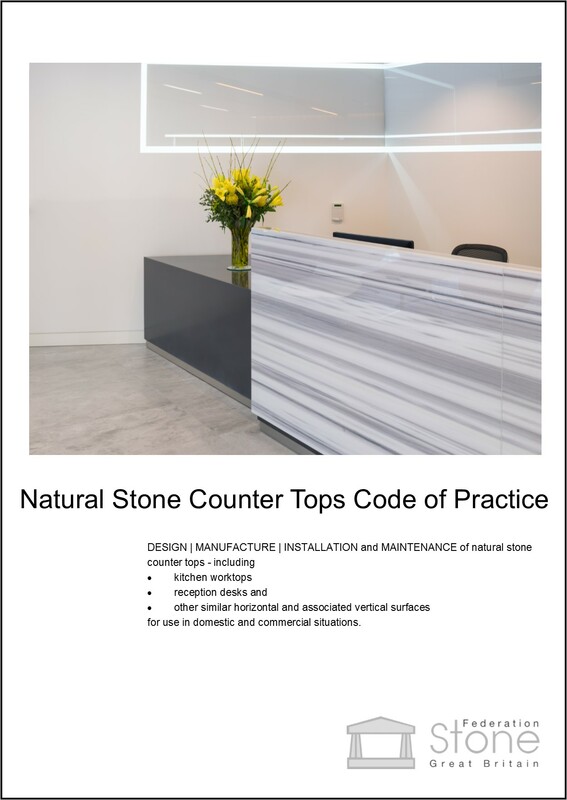 This Code gives recommendations for the design, manufacture, installation and maintenance of natural stone counter tops including kitchen worktops, reception desks and other similar horizontal and associated vertical surfaces for use in domestic and commercial situations. Price | This Code is available now and is priced at £45.00 (£25.00 for Stone Federation members) including postage and packing (postage charge for overseas members). Bulk Orders | A discount of 10% is offered for orders of 5-9 copies and a discount of 20% is offered for copies of 10 or more. This offer applies to the above Codes of Practices only.